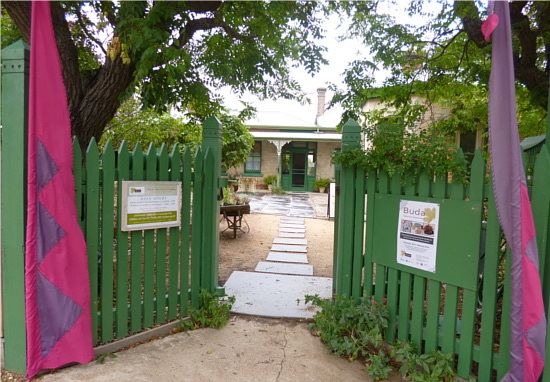 Yesterday I went on a little outing to Castlemaine. Regional public transport is free of charge all of this week, an offering that was apparently made because of a recent series of issues in the transport network. 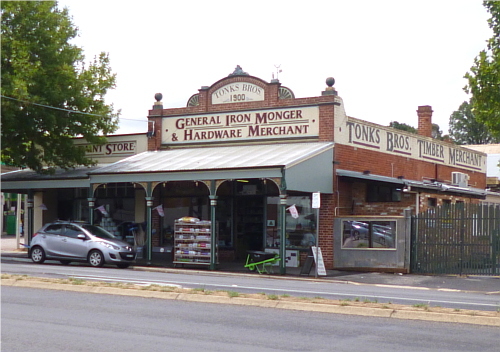 Seeing as I have some free time on my hands at the moment, I decided to go on a little day trip to a country town. 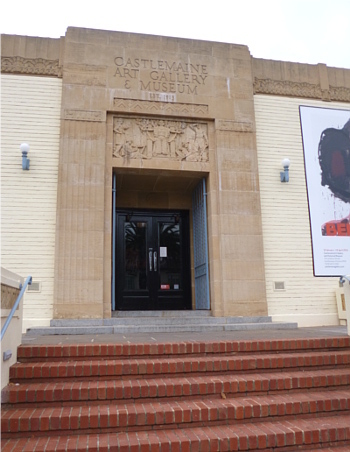 I chose Castlemaine because it has several attractions within walking distance of the train station, plus it's known for its heritage buildings. This was in some ways a big step for me. In the last few years, my anxiety has gotten worse, and I've let it get the best of me much of the time. It's made me reluctant to go to social occasions or go anywhere on my own. I nearly changed my mind about going several times in the week beforehand, imagining all the terrible things that could have happened. But in reality, the "worst" thing that happened was I didn't have time to see everything I wanted to see! Going on an adventure like this was a huge boost to my confidence. 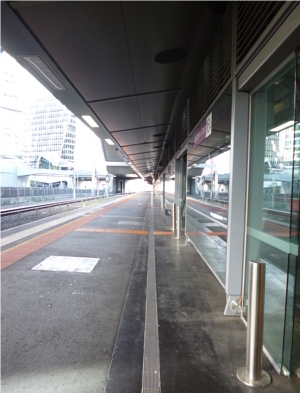 The train left Southern Cross Station from platform 16, at the opposite end from where the regional trains normally leave from. After wandering around for a while, I caved in and asked an attendant. I'm glad I did, or I would never have found it! 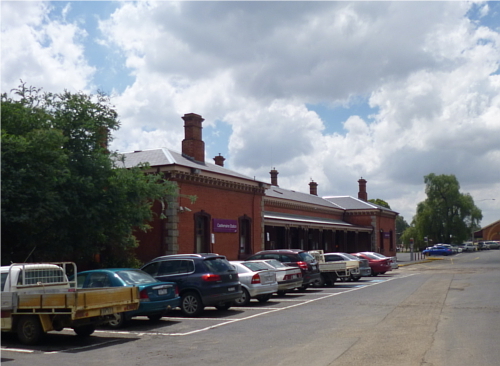 The trip to Castlemaine takes about 1-1/2 hours. 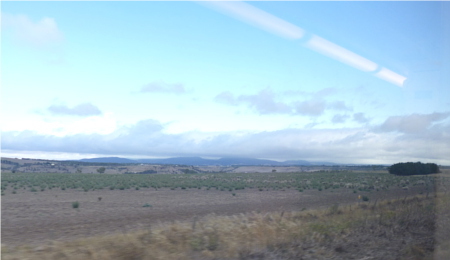 The landscape gave way from urban wasteland, to farmland, and eventually to bush. I arrived at the replica 'historic' station at about 10.45. The weather was overcast and extremely humid the whole day, but at least not too hot. I found the art gallery without any issues thanks to the maps on my spiffy new ipad. The art gallery is quite small comparatively, but it had some beautiful pieces. 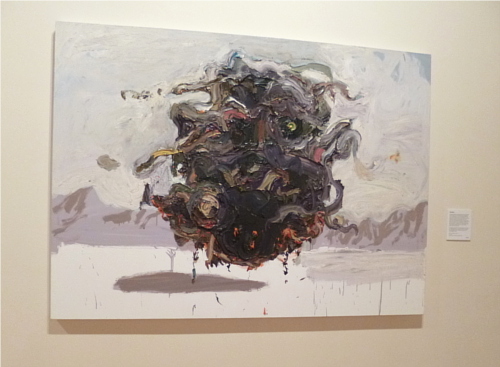 The feature exhibition was by the war artist Ben Quilty. 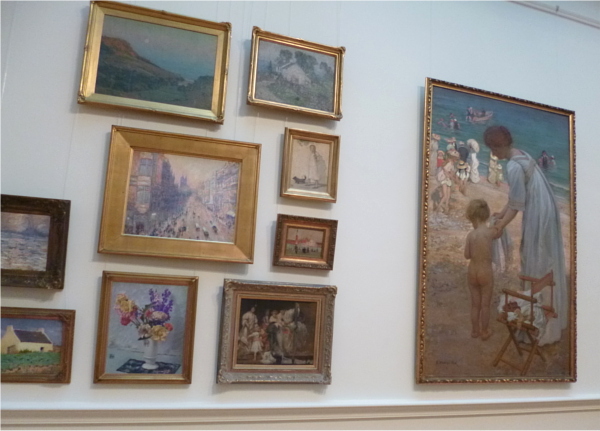 There was also a room of 19th- and 20th-century Australian art with some beautiful portraits. 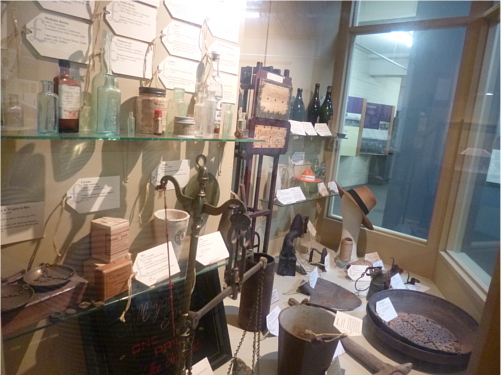 When I first entered, the lady behind the front desk mentioned that there was a museum downstairs. I'm so glad she told me because there were no signs and I certainly wouldn't have found it otherwise. It was an amazing space, packed full of treasures telling the story of the local area. While the art gallery up above had quite a few patrons while I was there, there was no-one else in the museum at all, which was quite sad, but it gave me a chance to have a good look at everything and take some sneaky photos. While I was there, a lady came in and started chatting to me. She was the curator of the museum! She told me all about the silver collection of over 250 pieces, and the arts and crafts that had been created by former residents of the town. She told me that if I was interested in that sort of thing (yes!!) I should visit Buda, a historic house nearby. 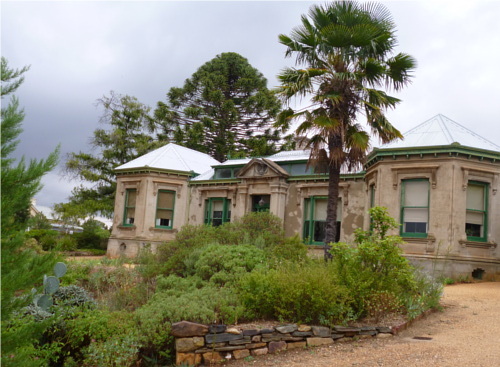 I had been planning to go to the Botanic Gardens, but listening to the history of the home's inhabitants convinced me that I definitely wanted to go. I asked her for directions, which she was of course very pleased to give me. On the way to find Buda house, I stopped off at a 'hole-in-the-wall' place to buy a coffee. I asked the lovely gentleman if he had any gluten-free snacks. He didn't have any left, but he was so lovely about it, and mentioned that they had gluten-free options for their lunch service, that I determined to go back there for lunch. After drinking my coffee and contemplating life for a bit, I walked on to find Buda house. 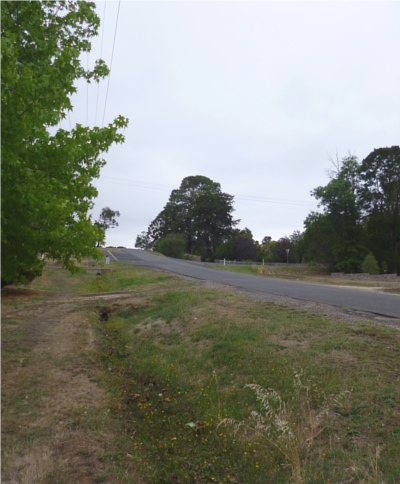 It's on the edge of town, up and down several steep hills. I have to admit, a couple of times I thought to myself, where the heck am I? I eventually found it and went in. It was fascinating. 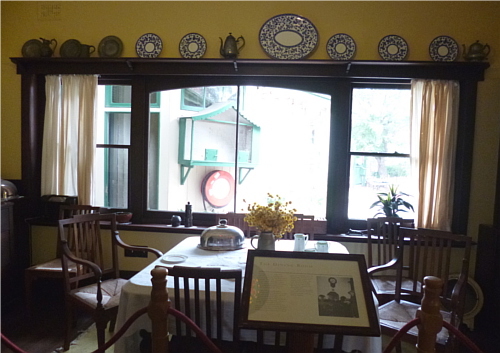 The house had been built prior to 1860 in the style of the time, with small rooms dimly lit with small windows. 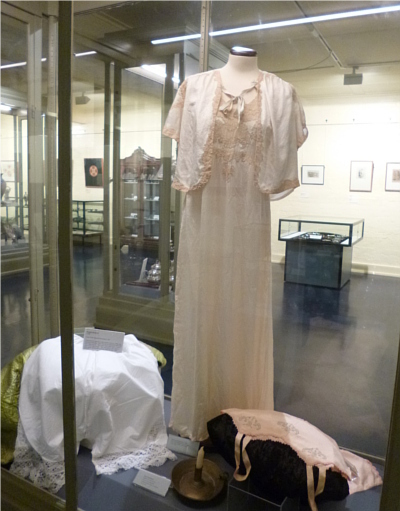 Then in the early 1900s, an extension had been built on to provide a sitting room, music room and gallery. The contrast between the old part of the house and the new is striking -- the new rooms being much larger, with large windows giving an airy feel. The history of the Leviny family was fascinating as well. The mother and father had 8 children. Only three married; the other five (all girls) lived in the house for the majority of their long lives. 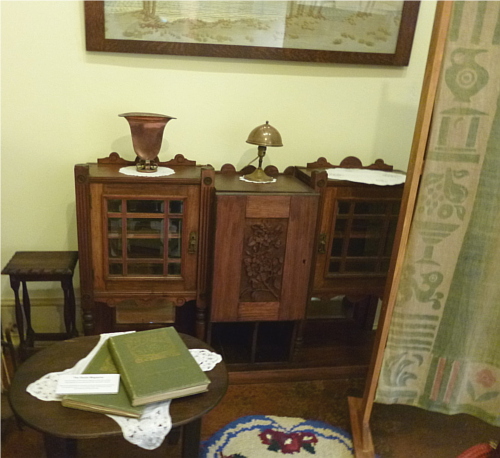 Thanks to their father's inheritance, they were able to pursue their love of arts and crafts, everything from photography to metalwork. I have to admit, I wasn't a little envious on hearing that! 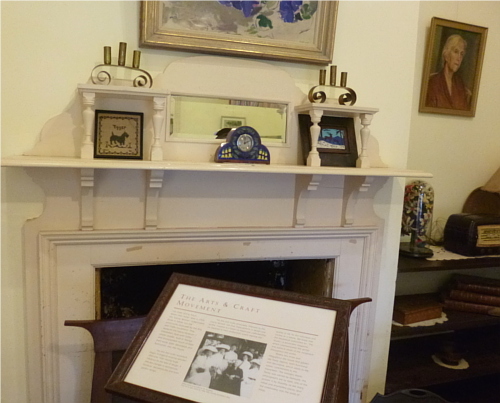 Many of their personal belongings, as well as their artworks, were on display in the house. It really gave a personal touch and I found it quite moving. 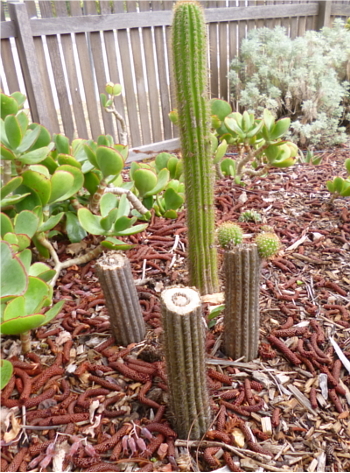 The extensive garden was wonderful as well. There was a pond, herb gardens, a cypress hedge, and some amazing pine trees. 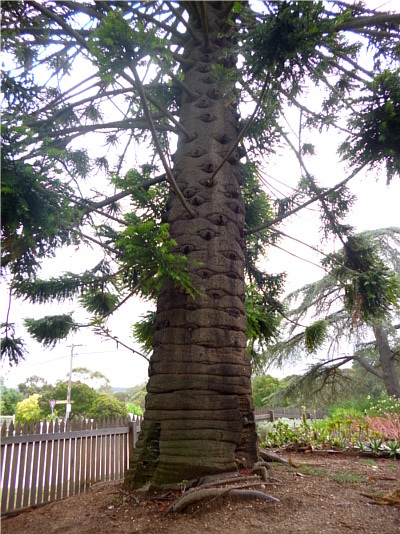 At first I thought this beauty was a Monkey Puzzle Tree!, but on googling it I found out it's actually a Bunya Pine. Still gorgeous though! 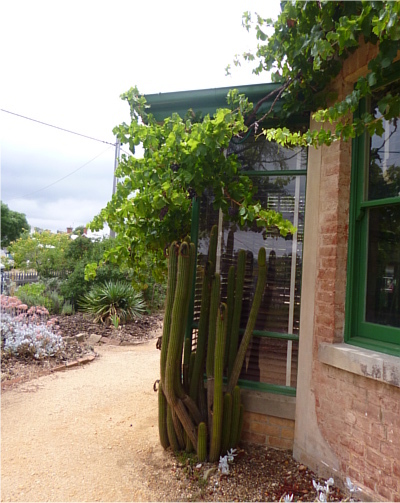 The garden had an interesting mix of 'traditional' style plants, and cacti and succulents. After the excitement of the garden, I was starting to get hungry. I walked back into town and found the Good Table again. 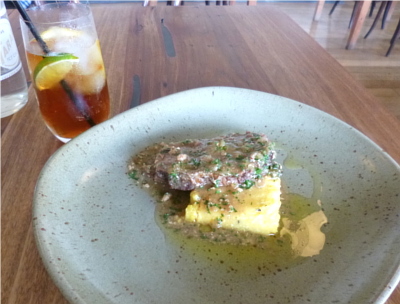 With help from another lovely waiter, I selected the pork with polenta, and strawberry semifreddo for dessert. 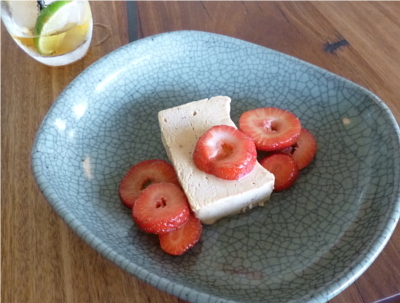 I had a Pimms fruit cup as a treat. I love some irony with my food! The food was excellent, if overpriced. 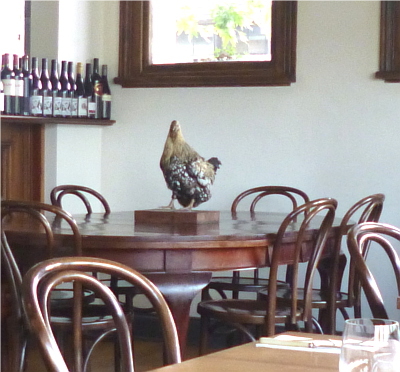 I do want to go back with a bigger group though, so I can sit at the table with the chicken centrepiece! It was time to go home, so I headed back to the train station. I had half an hour to wait (country trains!) 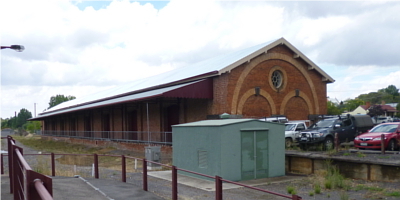 so I wandered around for a bit and saw what is presumably the original train station. I was planning to read on the way home, but I did some more thinking and ended up having a nap. It was a really lovely day, and I'm proud of myself for engaging with other people, following my instincts, and being open to new possibilities.